Three US navy vessels arrived in Hong Kong on Wednesday for a port call that foreshadows a meeting between Chinese President Xi Jinping and his US counterpart Donald Trump taking place in Argentina this weekend. 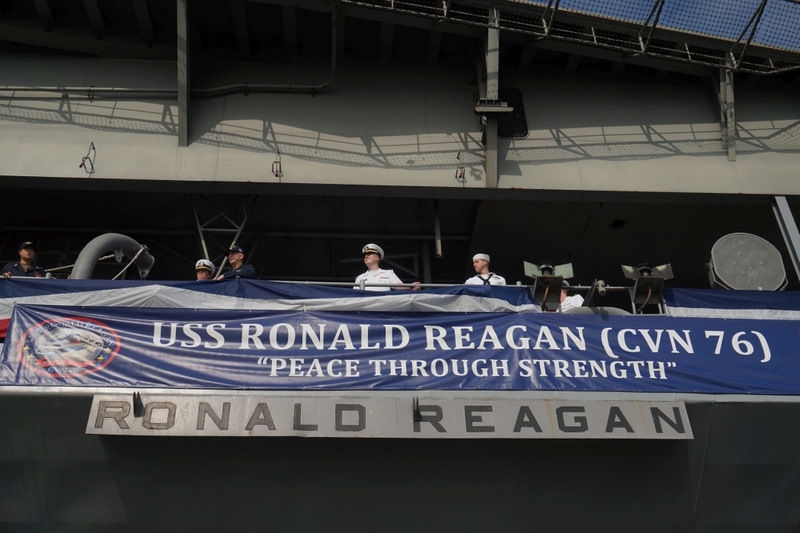 Speaking on the deck of the USS Ronald Reagan, the commander of the aircraft carrier said that the presence of the US Navy in the Indo-Pacific region promotes security and stability and provides peace and prosperity in the entire region. USS Ronald Reagan. Photo: Kris Cheng/HKFP. 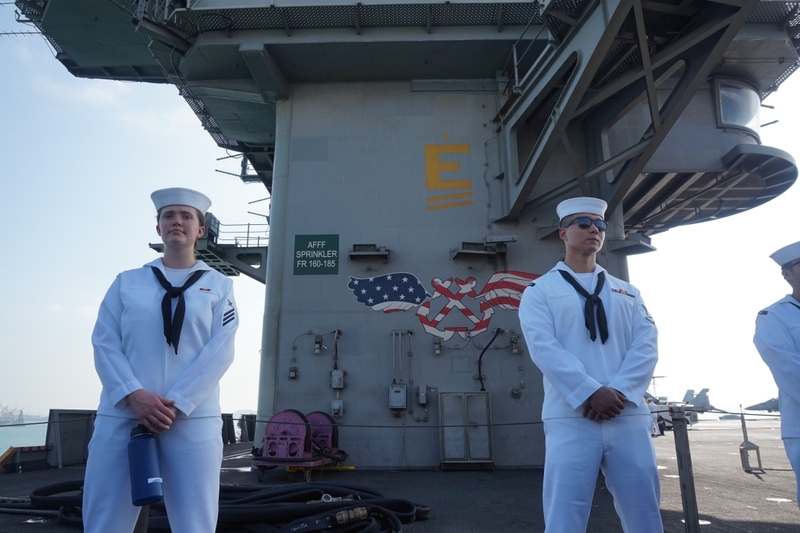 Nimitz-class aircraft carrier USS Ronald Reagan, Arleigh Burke-class guided-missile destroyer USS Curtis Wilbur, and Ticonderoga-class guided-missile cruiser USS Chancellorsville, arrived on Wednesday morning. The port call of the three vessels is believed by analysts to be a gesture of goodwill amid the trade war between China and the US. The 333-metre ship, with a 5,000-strong crew, is currently anchored around Tsing Yi. Sailors will be visiting local schools, participating in football matches and will attend dinners with the Hong Kong police and the Chinese army local garrison. 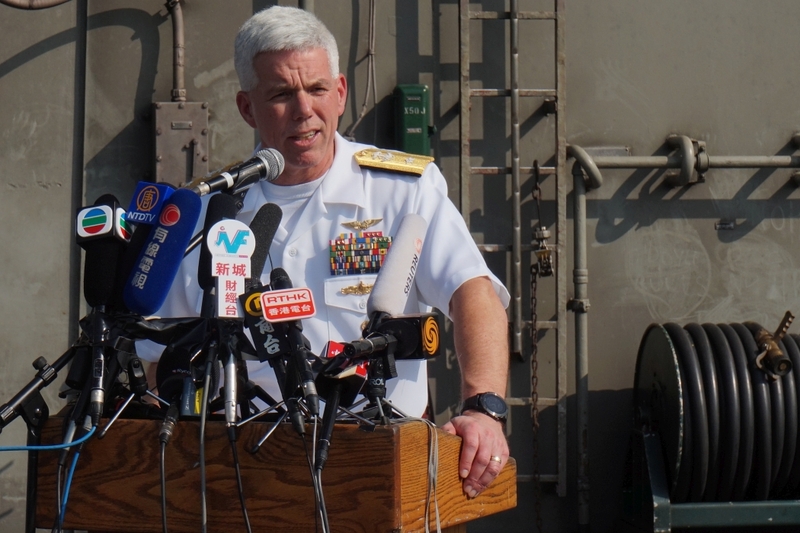 The vessel’s commander Rear Admiral Karl O. Thomas said it was the sixth time he had visited Hong Kong in his career of 30 years. US navy presence in Hong Kong dated back to 1842, he added. “This continued presence in the Indo-Pacific region, whether at sea or during port visits like this, promotes security and stability, which in turn provides peace and prosperity and benefits the entire region including the US,” he told reporters. “The prosperity for this region – it’s really built on freedom of the seas, it’s really built on the ability to have open trade,” adding that Hong Kong was a busy port. 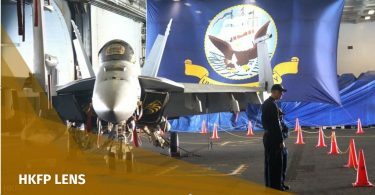 “It was a tremendous opportunity for sailors and groups and aircrafts from two different strike groups to join up at sea and to demonstrate the US navy’s durability to fly, sail and operate anywhere that international law allows,” Thomas said. 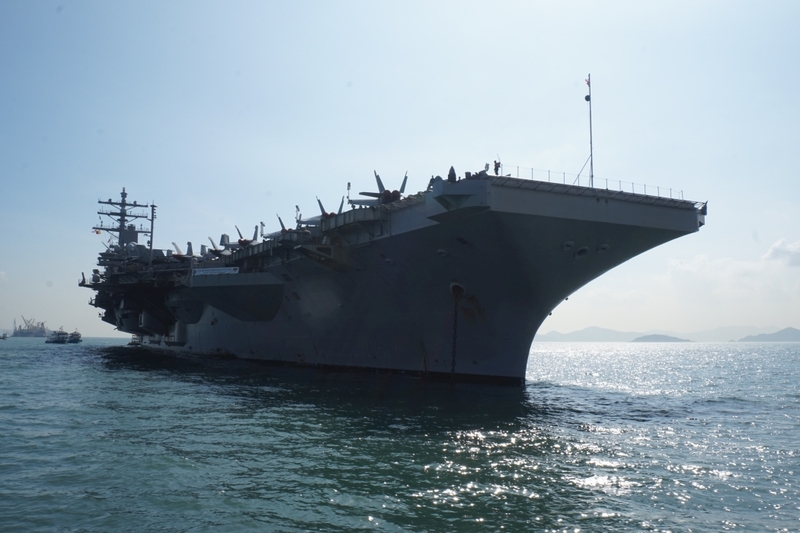 China refused an application to allow amphibious assault ship USS Wasp to enter Hong Kong in October without giving an explanation. The warship then stopped in Singapore. Thomas said he did not know the reasons behind this move. He added that it is not unusual for strike groups to make a port visit after an exercise. 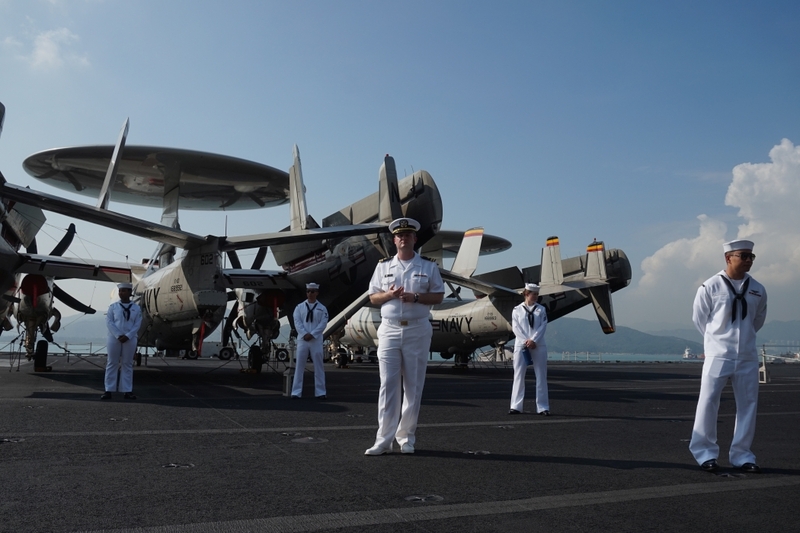 Rear Admiral Karl O. Thomas on USS Ronald Reagan. Photo: Kris Cheng/HKFP. 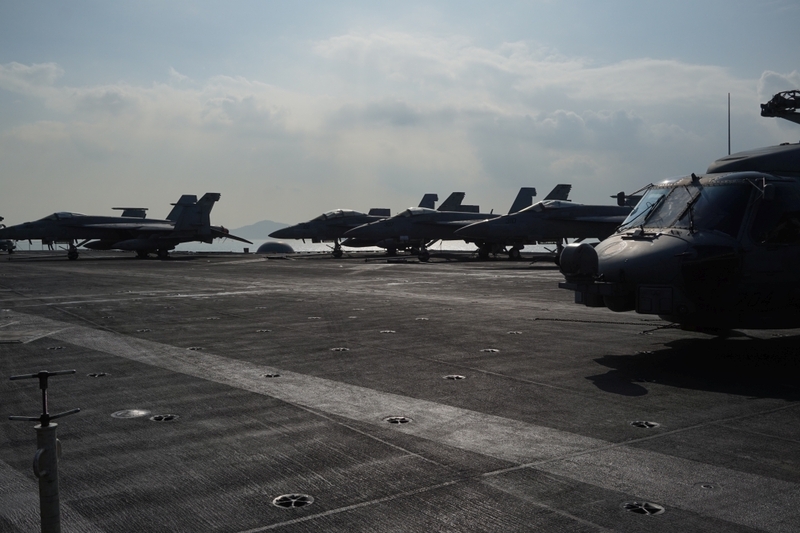 Tan Benhong, commander of the Chinese army garrison in Hong Kong, was invited to visit USS Ronald Reagan on Tuesday. When Thomas came out to the deck to meet reporters, he said “ni hao” – greeting them in Mandarin, as opposed to Cantonese. Thomas said sailors aboard the three vessels were excited to enjoy some time off in Hong Kong. Disi Zhao, who is originally from Guangzhou, but moved to the US when he was in high school, serves as a chief petty officer on the vessel. 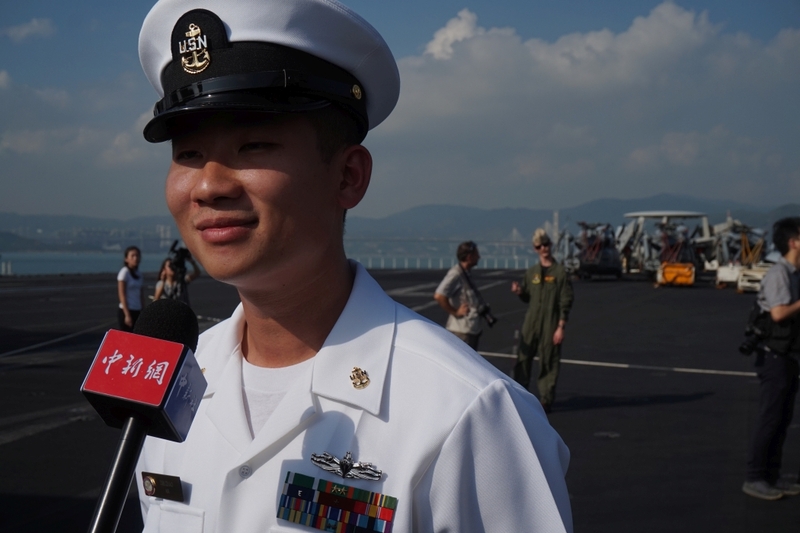 Chief Petty Officer Disi Zhao on USS Ronald Reagan. Photo: Kris Cheng/HKFP. 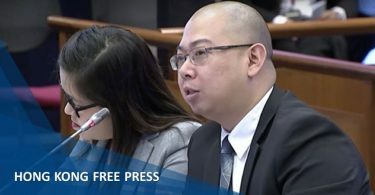 Zhao, who is fluent in Cantonese, said he has worked on the vessel for around five months and that it was the first time he had visited Hong Kong as an officer of the ship. “I am very excited – the food is good, and I speak the local language,” he said. 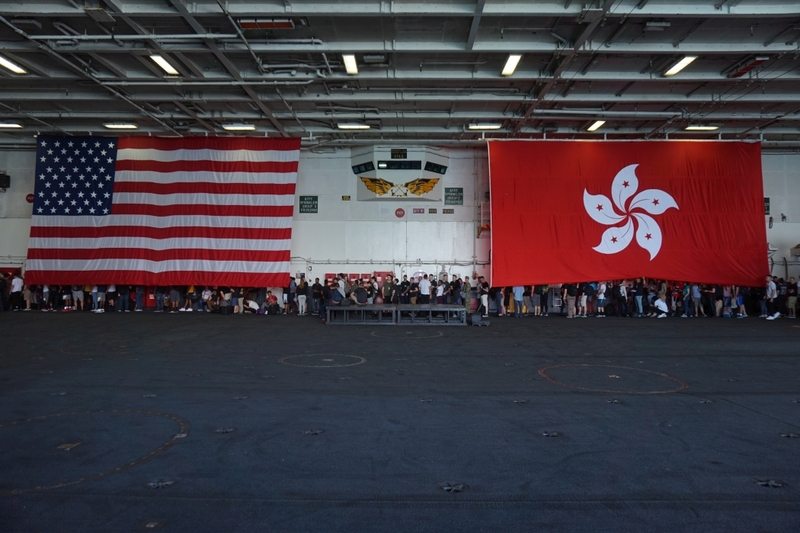 Sailors leaving USS Ronald Reagan to get on Hong Kong’s shores. Photo: Kris Cheng/HKFP. He said Hong Kong people were very nice to him when he visited the city in the past to meet relatives. 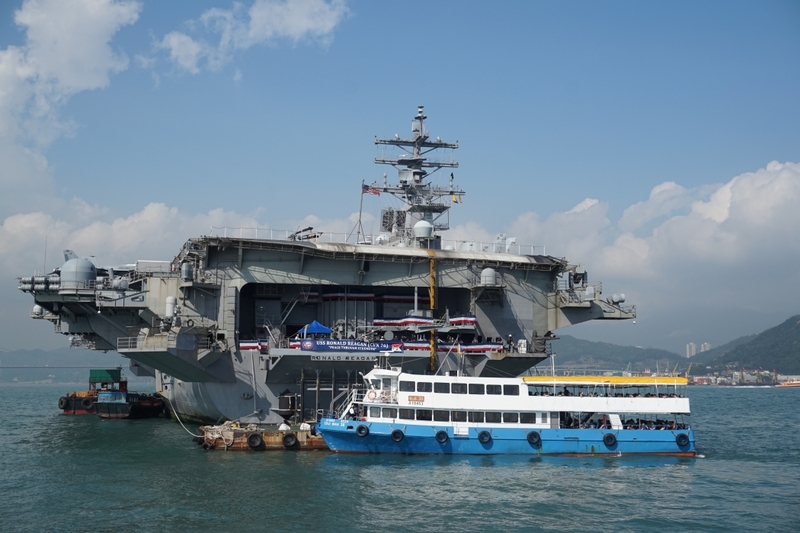 It is unclear when the US vessels will leave Hong Kong, and Thomas declined to reveal their next destinations, citing US army policy.